Here at House of Coco we are never too far from the finest beauty products, and we think that you shouldn’t be too far away either. If you want to brighten your day then take a look at some lust-worthy skin treats below. Do you often wonder how your ‘girl crushes’ have the most wonderful soft and dewy skin? Do you want to be one of those girls that other girls look at in awe? Do you spend hours browsing beauty websites for the best face creams, eye serums, and body butters? Do you daydream of being covered in sweet smelling lotions and potions? If you’ve answered yes to any of the above, then this little snippet of information may be just what you’re looking for! PMD Personal Microderm, available from Harrods, www.lookfantastic.com and www.currentbody.com is priced at £150.00. The hand-held PMD Personal Microderm system delivers the same anti-ageing and skin purifying results as microdermabrasion treatments offered in medical spas and salons, but at a fraction of the price. It combines the power of deep exfoliation with vacuum suction to leave the skin looking brighter, smoother and more rejuvenated than ever. PMD Personal Microderm uses the same aluminium oxide crystals as found in professional machines, which make up a flat, coarse disc that has a deeply exfoliating effect on the skin. The dead skin cells are instantly removed by the vacuum action of the device, which activates the innate skin healing mechanism that stimulates cell renewal and collagen production in the upper layers of the skin. The Perfect C Serum by Medica Forte is available from Effortless Skin and priced at £99.99 for 30ml. This luxurious, light and powerful serum is as nifty as can be. It has the power to offer skin complete free radical protection for up to 3 days and the formula has been designed with a high concentration of antioxidants, meaning it is a welcome addition to any existing morning beauty regime. The Perfect C Icontains a generous 20% concentration of Ethyl Ascorbic Acid, the most advanced form of Vitamin C available, alongside Ferulic Acid to successfully neutralise those naughty free radicals before they can damage the cells and destroy the skin’s vital collagen stores. Added Hyaluronic Acid hydrates and plumps lackluster skin, helping to soften the appearance of fine lines and wrinkles. A simply packaged skin miracle in a petite bottle, that with just 1 to 2 pumps after cleansing can make all the difference to all skin types. 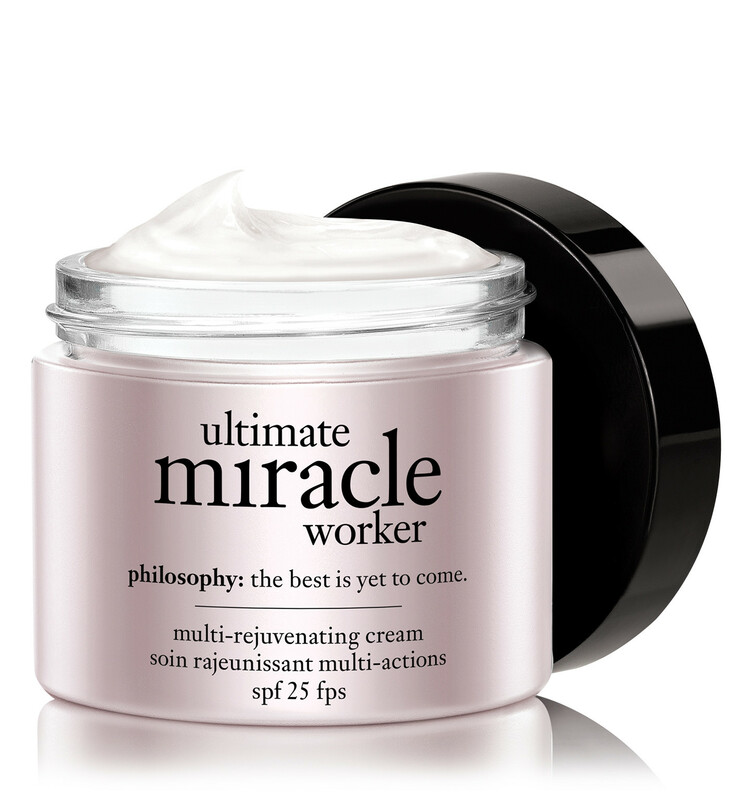 ultimate miracle worker Day Cream and Eye Cream by philosophy, available from philosophy skincare and John Lewis stores, priced at £53.00 and £39.00 respectively. ultimate miracle worker multi-rejuvenating cream spf 25 is the first all-in-one anti-aging product with full- spectrum protection against uva, uvb, infrared and visible light. Recent studies have shown that 90% of rays on the light spectrum (beyond uva and uvb) are responsible for 50% of the free radicals linked to sunlight. The exclusive multi-protection technology in the ultimate miracle worker multi-rejuvenating cream helps give your skin protection against the full-light spectrum. The multi-protection complex is combined with an exclusive multi-rejuvenation complex including philosophy’s patented bi-retinoid and active plant cells from the iris flower to help rebuild collagen and rejuvenate skin’s appearance layer by layer. ultimate miracle worker eye spf 15 is philosophy’s newest anti-aging eye innovation to offer complete protection and multi-rejuvenation in an exclusive formula powered by patented technology that targets lines, wrinkles and loss of firmness, as well as dark circles and puffiness. 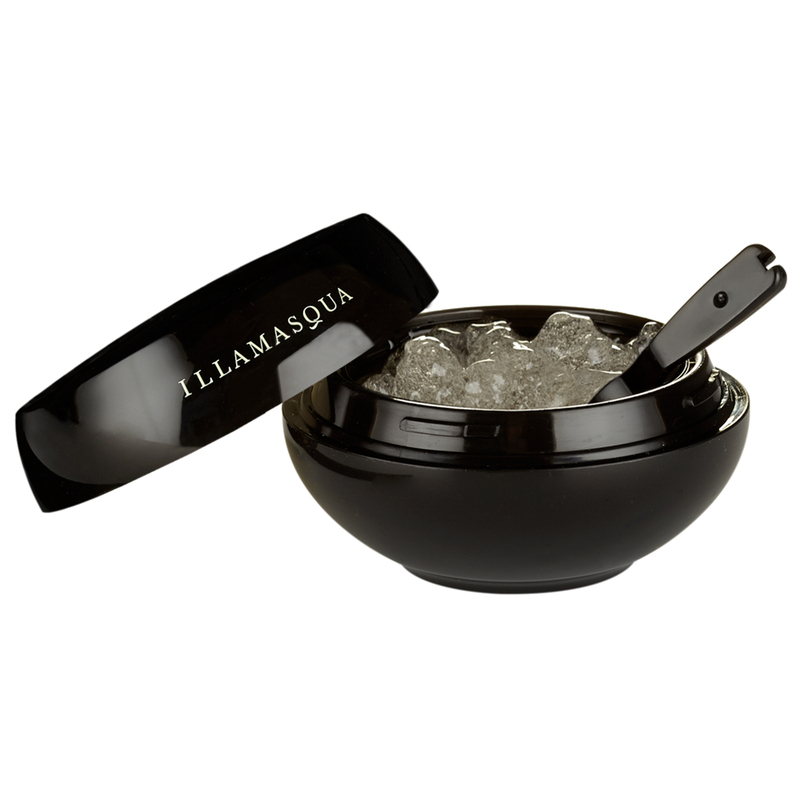 Hydra Veil by Illamasqua, available from Illamasqua stores and online, priced at £32.00. A first from Illamasqua; part hydrator, part primer, Hydra Veil is a cosmetic-care, pre-primer developed to enhance make-up application and longevity by flooding the skin with immediate rehydration. Hydra Veil contains the powerful anti-oxident Astaxanthin, the latest technology from Japanese health innovation (derived from microalgae) designed to increase and improve the skins peak hydration level. Hydra Veil’s smoothing effect is supported by Acmella Oleracea extract, a plant based active, which works to achieve an improved base to apply your chosen primer or foundation. 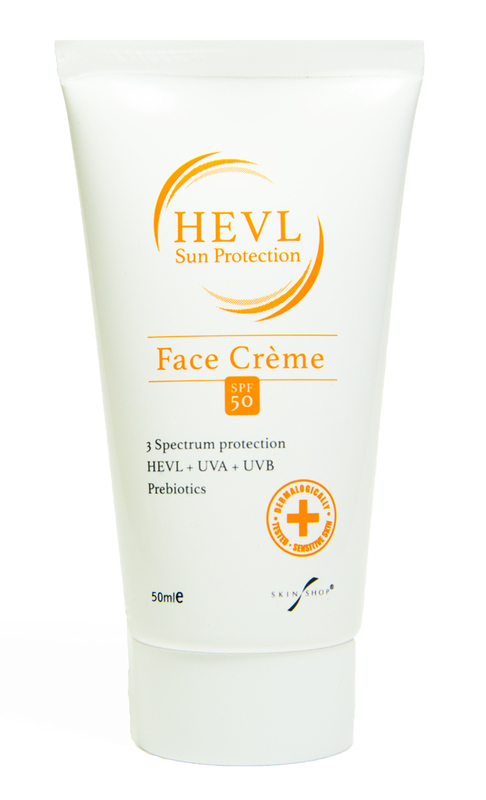 HEVL SPF50 Face Crème by Skin Shop is available exclusively at www.skinshop.co.uk, and is priced at £19.95 for 50ml. We all know that UVA and UVB sun rays damage skin. What’s not so well known is a 3rd type of harmful ray called High Energy Visible Light (HEVL). HEVL are basically rays produced by daylight, whether its sunny or just light, these harmful rays can damage exposed skin. A new SPF cream has been developed here in the UK that is one of the first skincare products to protect against HEVL. This skin cream offers 3-spectrum protection against UVA, UVB and HEVL and it contains a new patented ingredient called Liposhield™ HEV*, which is one of a new generation of SPF ingredients to specifically protect skin against harmful HEVL rays. It also contains prebiotics to help strengthen and maintain the natural skin barrier. HEVL SPF 50 Face Crème is a light non-greasy face cream with a skin-coloured tint and is free from MI, SLS, parabens and perfumes. 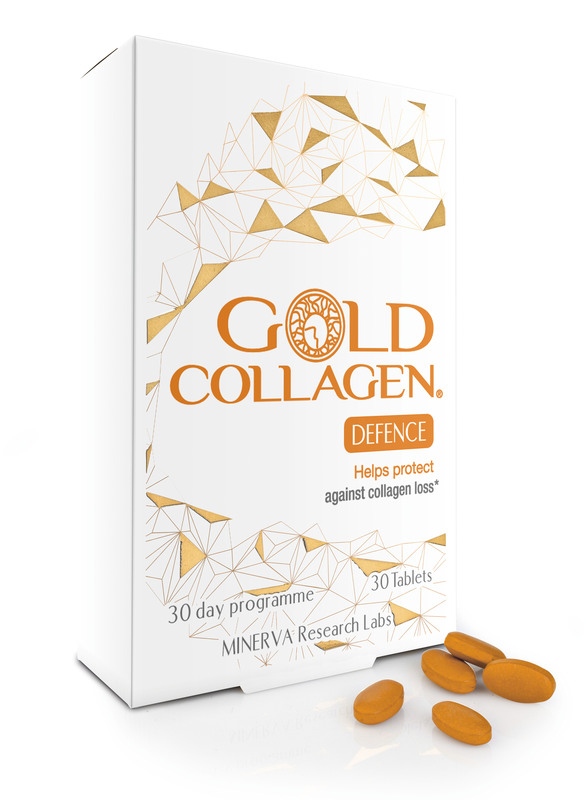 Gold Collagen Defence by Minerva Research Labs and is available from Boots, it is priced at £14.95 for a 30 day programme and includes 30 tablets. With a unique blend of 17 active ingredients specifically formulated to enhance the skin’s ability to fight free radicals. Gold Collagen Defence helps against collagen loss, helps to protect your skin from within, helps to support the skin’s natural healthy appearance, and supports both the maintenance of younger looking skin and helps support the maintenance of healthy hair and nails. 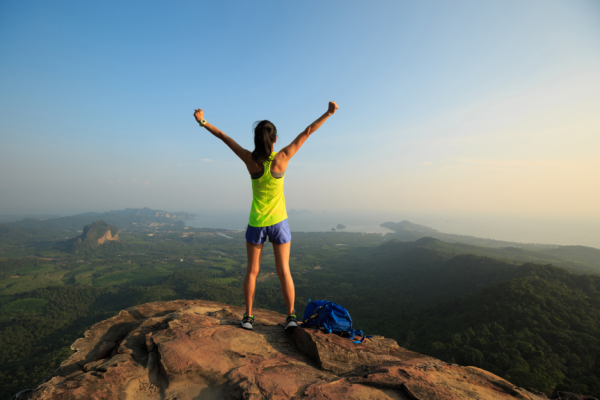 It’s the ideal supplement for the city dweller as it helps to protect from collagen loss by defending your skin from invisible aggressors like pollution, UV rays, poor food choices, and stress. It utilises the super antioxidant Astaxanthin which is 65 times more powerful than vitamin C, 54 times more powerful than beta-carotene and 14 times more powerful than vitamin E.
The 17 ingredients include; Vitamin C, Glucosamine, Greet Tea Extract, Vitamin E, Vitamin B3, Zinc, Hyaluronic Acid, Coenzyme Q10, Beta-Carotene, Vitamin B6, Vitamin A, Copper, Black Pepper Extract, Lutein, Astaxanthin, Selenium and Vitamin H.
As this is a food supplement your doctor should be consulted if you are on any form of medication or if you are pregnant. The good news for those with allergies, Gold Collagen Defence is both lactose free and gluten free. 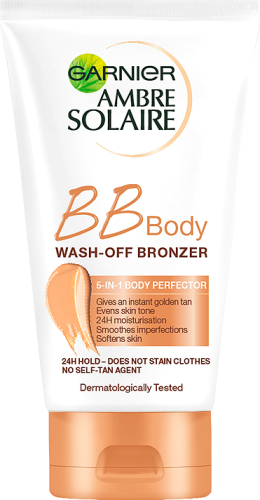 Ambre Solaire BB Body Bronzer by Garnier, available from all good high street beauty and cosmetic retailers and is priced at £7.99. BB Body Bronzer is an all-in-one solution combining all of the unifying benefits of a BB cream to soften and hydrate skin, whilst blurring imperfections and evening skin tone. Enriched with nourishing oils, the formula provides 24HR hydration leaving skin feeling touchably soft and through its anti-transfer technology and is resistant to perspiration. Garnier Ambre Solaire BB Body Bronzer (RRP £7.99/150ml) offers a light, non-greasy formula that contains Garnier’s much-loved mineral pigments that adapt to skin tone for an instant natural-looking sun-kissed effect. 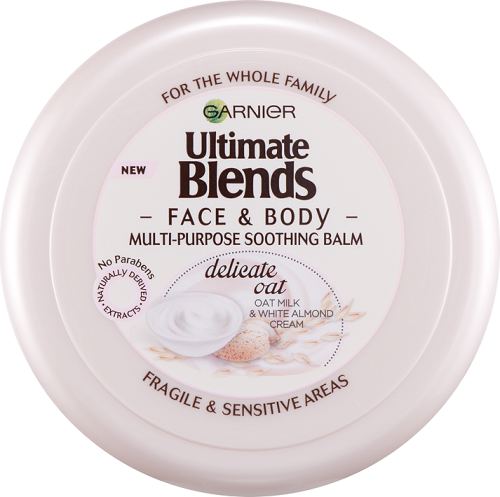 Ultimate Blends Body Range by Garnier, available from any good high street beauty and cosmetic store, prices vary £4.99 – £5.99. Ultimate Blends Body care products are specially formulated to meet the specific needs of each and every skin type, even sensitive. very different to facial skin. It has less sebum and protective lipids and is more exposed to the effects of washing, hair removal and friction from clothing. The skin’s natural barrier can become less absorbing and can lose water more easily, leaving it dehydrated. These losses can only be compensated for by regularly applying oils and other moisturising ingredients to keep the skin’s hydration level in balance. Special formulations for all skin types, even sensitive skin. Each Ultimate Blends Body formula has been developed using different technologies to carefully blend selected ingredients for powerfully effective results and an incredible sensory experience. The more glycerides and nourishing ingredients the formula contains the more moisturising, nourishing and restorative it will be. With 4 varieties to choose from each with a choice of lotions, body butters and oils there’s an Ultimate Blend for you. Including; Hydrating, Nourishing, Restoring, and Soothing.